Windows 8.1 and Windows RT 8.1 build on Windows 8 and Windows RT, to bring you enhancements in personalization, search, apps, the Windows Store, and cloud connectivity, and has the security and reliability features you expect from Windows. It’s fast and made to work on a variety of devices—especially on the new generation of touch devices. If your PC is currently running Windows 8 or Windows RT, it’s free to update to Windows 8.1 or Windows RT 8.1. And unlike previous updates to Windows, you’ll get this update from the Windows Store. The instructions below are from a support document on the Microsoft.com website. (source) This is being shared here for easier access and reference. The system requirements for Windows 8.1 and Windows RT 8.1 are nearly the same as the requirements for Windows 8—if your PC is already running Windows 8 (or Windows RT), in most cases, you can get the free update to Windows 8.1 (orWindows RT 8.1). But before you begin, here are some things to keep in mind. Your files, desktop apps, user accounts, and settings come with you. Windows 8.1 and Windows RT 8.1 come with some new built-in apps, and it will update or replace some of your existing built-in apps. Your existing Windows Store apps don’t come with you, but once the update is complete, you can reinstall all of these apps at once—or just the ones you want. For more info, see the Welcome to the new Windows section of this page. We’ll check your desktop apps and devices for you. As part of the update, we check your current desktop apps and connected devices, and let you know what you’ll need to do to get them ready for the update, or to get them working again after the update. In most cases, you won’t need to do anything—most desktop apps, devices (like printers), and network connections will work normally after the update. If you have particular desktop apps or devices you’re concerned about, you can check their compatibility in the Windows Compatibility Center. Consider using a Microsoft account to sign in to your PC. If you already use a Microsoft account to sign in to Windows 8or Windows RT, you’ll use that same account to sign in to Windows 8.1 or Windows RT 8.1. If you don’t, we recommend that you start using a Microsoft account in Windows 8.1 or Windows RT 8.1. Simply put, it’s the glue that holds together so many useful features of the new Windows: the ability to download apps from the Store, automatic syncing of your settings and documents between your PCs, backing up your photos to the cloud so you can get to them from anywhere, and seeing all your contacts from multiple email and social networking accounts together in the People and Mail apps. If you already have an account you use with Outlook.com, Xbox LIVE, Windows Phone, or Skype, then you already have a Microsoft account. If you use more than one of these, we can help you figure out which email address to use. You can keep working while the update is installing. Download and installation times vary from about 30 minutes to several hours, depending on your Internet connection speed, and the speed and configuration of your PC, but you can still use your PC while the update is installing in the background. During this time, if you decide to leave your PC unattended, be sure to save your work and close any apps you have open first, in case your PC needs to restart automatically while you’re away. After it restarts, you won’t be able to use your PC for a little while (from about 20 minutes to an hour), while the updates are being applied. After that phase is complete, we’ll walk you through choosing a few basic settings and then Windows will finish applying any final updates that are needed. There are a few things you should do before you start installing. Back up your files. Although your files and apps come with you when you update to Windows 8.1 or Windows RT 8.1, it’s a good idea to make sure that your files are backed up first by setting up File History. Make sure you have enough free disk space. If you’re currently running Windows 8, you need 3,000 MB of available space to install the 32-bit version of Windows 8.1, and 3,850 MB of available space to install the 64-bit version of Windows 8.1. On a Windows RT device, you need 2,250 MB of available disk space to install Windows RT 8.1. For more info, see Tips to free up drive space on your PC. Plug in your laptop or tablet. It’s important to keep your PC plugged in throughout the update process, because if you lose power before it’s done, the update might not install properly. Connect to the Internet. It’s best to stay connected until the update is done. If you don’t, you’ll need to connect again to finish setting up later, and setup will take longer. Get the latest critical and important updates. 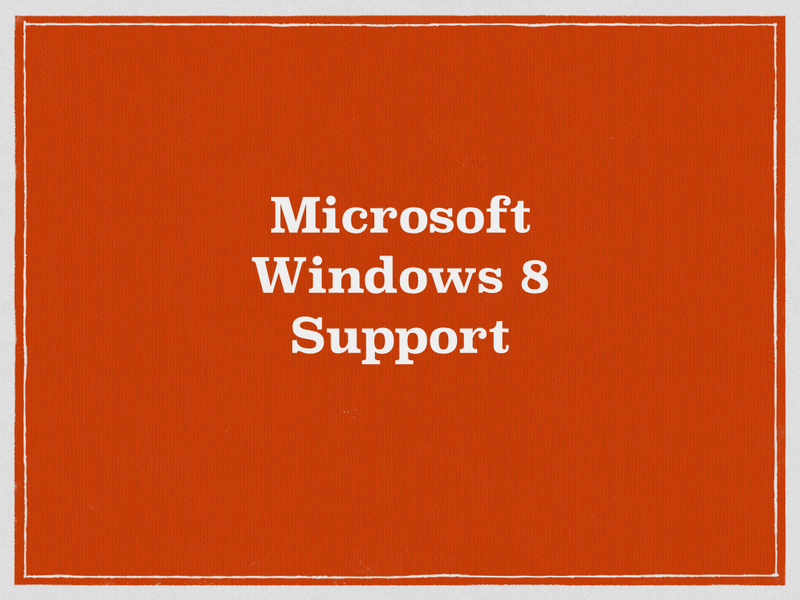 There are some updates you might need before you can installWindows 8.1. In most cases, the latest updates will be installed automatically using Windows Update. But if you don’t have automatic updates turned on and you need to check for updates manually, or if you’d like to check to see when the latest updates were installed, you can do this from Windows Update. For more info, see Windows Update: Frequently asked questions. Temporarily turn off your antivirus program. Some antivirus software might interfere with the installation. After you install Windows 8.1 or Windows RT 8.1, remember to turn your antivirus program back on. Ready? Now you can download the free update from the Windows Store. Go to the Start screen, and tap or click the Store tile. In the Store, tap or click the Windows 8.1 or Windows RT 8.1 update. if you don’t see the update on the Store home screen, see Why can’t I find the update in the Store? The update will download and install in the background while you use your PC to do other things. The installer will check to make sure you have enough disk space, that your apps and devices will work with Windows 8.1 or Windows RT 8.1, and that you have all the required updates. In some cases, the installer might find something you need to take care of before you can continue installing the update. If so, you’ll see a message telling you what you need to do. If the installation is interrupted for any reason, you can restart the update from where you left off by going back to the Store and downloading the update again. After the update is downloaded and the first phase of the installation is complete (which could take between 15 minutes and a few hours, depending on your system and your connection speed), you’ll see a message telling you that your PC needs to restart. It will give you 15 minutes to finish what you’re working on, save your work, and close your apps, and then it will restart your PC for you. Or you can restart it yourself. If you leave your PC before it’s ready to restart, be sure to save your work and close any desktop apps you’re using to make sure you don’t lose anything when it restarts automatically. Your PC might need to restart more than once, depending on how it’s set up, and whether additional updates are needed. Restarting will take longer than usual—from 20 minutes to about an hour—while the update is applied. During this time, you won’t be able to use your PC. After your PC finishes restarting, you’ll be presented with the Microsoft software license terms. Review the terms, and then tap or click I accept to continue. If you don’t accept the terms, this cancels the installation of Windows 8.1 or Windows RT 8.1, and your PC will roll back to Windows 8 or Windows RT. You’ll see a list of recommended settings, called express settings. To accept these settings and continue, tap or click Use express settings. You can change any of these settings later, after you finish setting up. If you’d like to change some of these settings now, tap or click Customize. For more info, tap or click Learn more about express settings. To learn about how these settings affect your privacy, tap or clickPrivacy statement. Next, you’ll be asked to sign in. If you already use a Microsoft account to sign in to Windows 8 or Windows RT, your account name will be filled in for you. If you previously used a local account for this, you’ll need to sign in with your local account first, and then we’ll ask you to set up a Microsoft account, which you can use to sign in to your PC after the update. Enter your Microsoft account email address, if needed, and your password. We’ll send a security code to the alternate email address or phone number you’ve set up for this account, and you’ll need to enter that code to verify that you’re the owner of the account. This helps us protect your account and devices when you access sensitive info. If you don’t have alternate contact info set up for the account yet, you’ll be asked to provide it now. If you have more than one Microsoft account, you can get help figuring out which email address to use for your Microsoft account. If you signed in to your PC using a Microsoft account before you installed Windows 8.1 or Windows RT 8.1, then you might not need to enter a security code. Choose Create a new account. Next, you’ll be asked to choose an email address you’d like to use as a Microsoft account. This can be any email address you use, and isn’t limited to addresses that come from Microsoft. Enter the email address that you use the most. We’ll use it to set up the Mail and People apps for you with email and contacts that you already use every day. Enter the password you’d like to use, and fill in the rest of the info, including your first name, last name, and your country or region. Next, you’ll also be asked to provide an alternate email address or phone number where we can reach you by email, phone, or text message (SMS). This helps us protect your account and devices whenever you access sensitive info using this account. After you enter this info, we’ll send a message to you containing a security code, and you’ll need to enter that code to verify that you’re the owner of the account. If this is your first time setting up a PC with Windows 8.1 or Windows RT 8.1, you’ll see the new SkyDrive options. If you already have another PC running Windows 8.1 or Windows RT 8.1, and you chose to sync settings on that PC, then yourSkyDrive settings will also sync from your existing PC to this one, and you might not see this screen. Photos you take with this PC are saved to your camera roll folder on this PC, and a smaller copy of each photo is automatically backed up to your SkyDrive. When you create a new document, the default save location is SkyDrive. But you can always choose to save individual documents locally or on another drive. Windows will save a backup copy of your PC settings to SkyDrive. If something ever happens to your PC and you need to replace it, your settings are saved in the cloud and you can transfer them to a new PC instantly. You can change any of these settings later in PC settings. If you’d prefer to turn off all of these settings now, tap or click Turn off these SkyDrive settings (not recommended). Because Windows is always being updated, it’s possible that critical updates have become available since Windows 8.1 andWindows RT 8.1 were finalized. Windows checks for these critical updates when you finish setting up Windows 8.1 orWindows RT 8.1 for the first time, and if it finds any, it will download them automatically. Downloading and installing these updates might take a few minutes, depending on the updates you need. Your PC might also need to restart one or more times to complete the updates. The new Start screen will appear. Much of it will look familiar, but if you’d like to explore what’s new and how to get around, check out this Start screen page. Your desktop apps come with you when you update to Windows 8.1 or Windows RT 8.1, but you’ll need to reinstall your Windows Store apps. You can see all of the Windows Store apps you own in the Your apps section of the Store. From here, you can choose the ones you want to install on your updated PC, and install them all at once. On the Start screen, tap or click the Store tile to open the Windows Store. Swipe down from the top edge of the screen or right-click, and then tap or click Your apps. Select all the apps you want to install, and then tap or click Install. You can also reinstall apps from the Start screen by tapping or clicking the tiles. You don’t need to wait for the apps to finish installing. They’ll keep installing in the background while you do other things.